WWE (NYSE: WWE) today announced that its digital subscription service, WWE Network, reached a record 1.95 million total subscribers following last night’s WrestleMania®.1 This is a 7% increase from April 4th, 2016, the day after WrestleMania last year. During the first quarter 2017, the rise in WWE’s stock price resulted in an increase in stock compensation expense. Based on this increase and the timing of other items impacting our results, the Company currently expects (subject to the completion of its quarterly close process) that its Adjusted OIBDA for the first quarter 2017 will be $3 million to $5 million below the previously estimated range of $23 million to $27 million. The Company anticipates that these timing elements will reverse over the coming months and is maintaining its full year Adjusted OIBDA target. WWE is unable to provide a reconciliation of first quarter guidance to GAAP measures as, at this time, WWE cannot accurately determine all of the adjustments that would be required. The Company is evaluating certain items for the first quarter 2017 including film impairments which (subject to the completion of its quarterly close process) may result in reconciling adjustments. Further information regarding such reconciliations can be found on page 6 of this release. Q2 2017: If the acquisition and retention of subscribers driven by WrestleMania is consistent with the subscriber activity associated with the prior year event, the range of average paid subscribers for the second quarter 2017 would be 1.63 million (+/- 2%), representing an increase of approximately 8% from the second quarter 2016.5 As future subscriber performance may differ from prior activity, this range is provided for perspective rather than as guidance. (4) Social media fan engagements are defined as the cumulative fan response to WWE content measured by the number of likes, comments, shares, reactions, mentions, favorites, screenshots and replies across Facebook, Twitter, Instagram and Snapchat. (6) WWE is unable to provide a reconciliation of forward looking guidance to GAAP measures as, at this time, WWE cannot accurately determine the adjustments that would be required. Further information regarding such reconciliations can be found on page 6 of this release. As noted, WWE CFO George Barrios and Michael Weitz are currently conducting a post-WrestleMania 33 conference call, and during the call Barrios revealed the WWE Network now has 1.949 million subscribers with 1.661 million being paid subscribers. The total number of domestic subscribers is 1.452 million with 1.257 million of those being paid. Additionally, there are 497,000 international Network subscribers, and 424,000 of those are paid. WWE announced back in February that WWE Network had 1.5 million paid subscribers as of January 31st, 2017. 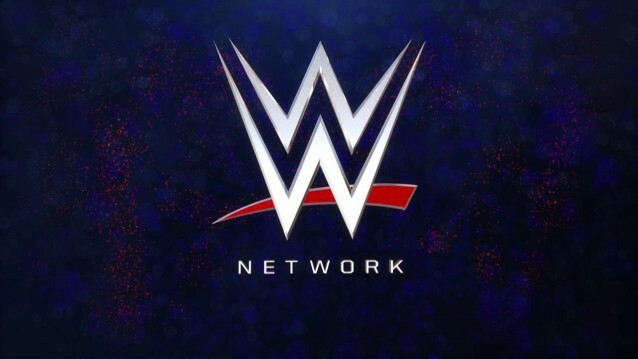 WWE Network Updated Subscriber Count Revealed, Did It Hit 2 Million? WWE Chief Strategy & Financial Officer George Barrios announced on today's post-WrestleMania 33 conference call that the WWE Network now has 1.949 million subscribers with 1.661 million being paid subscribers. The total number of domestic subscribers is 1.452 million with 1.237 million of those being paid. There are 497,000 international Network subscribers with 424,000 of those being paid. WWE announced back in February with their 4th quarter earnings report that the Network had 1.5 million paid subscribers as of January 31st, 2017. The Network averaged 1.41 million subscribers in the 4th quarter of 2016 - a breakdown of 1.1 million in the United States and 400,000 internationally. Barrios noted today that subscribers are up 11% domestically from the same quarter in 2016. 0 Response to "World Wrestling Entertainment (WWE) Says WWE Network Reaches Nearly 2 Million Subscribers"